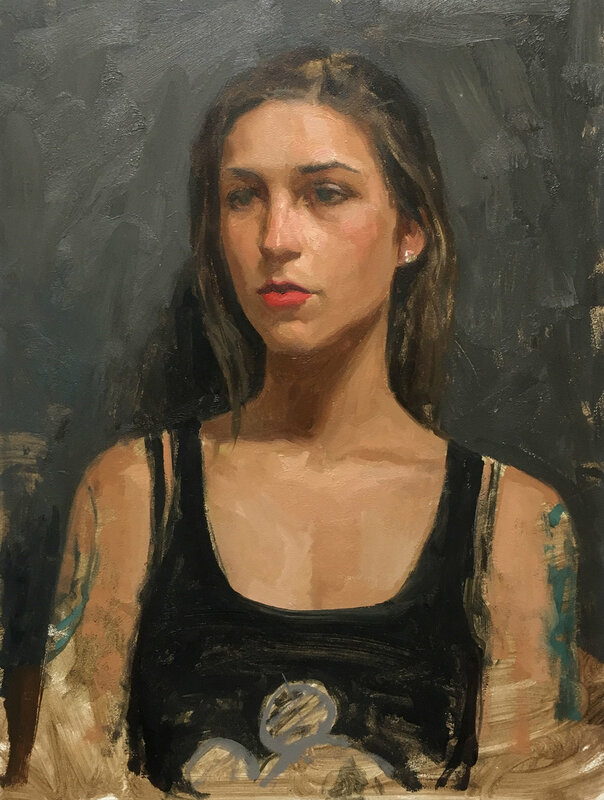 Billy Schenck has been a long-standing member of Maxwell Alexander Gallery, and an influential voice in the contemporary Western Art world. 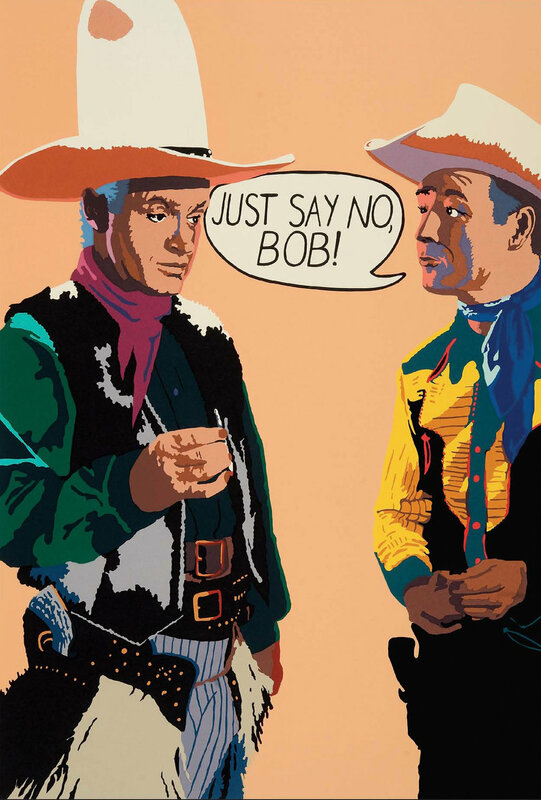 His fusion of Pop Art sensibility and Western iconography made him one of the originators of the contemporary “Pop” Western movement. 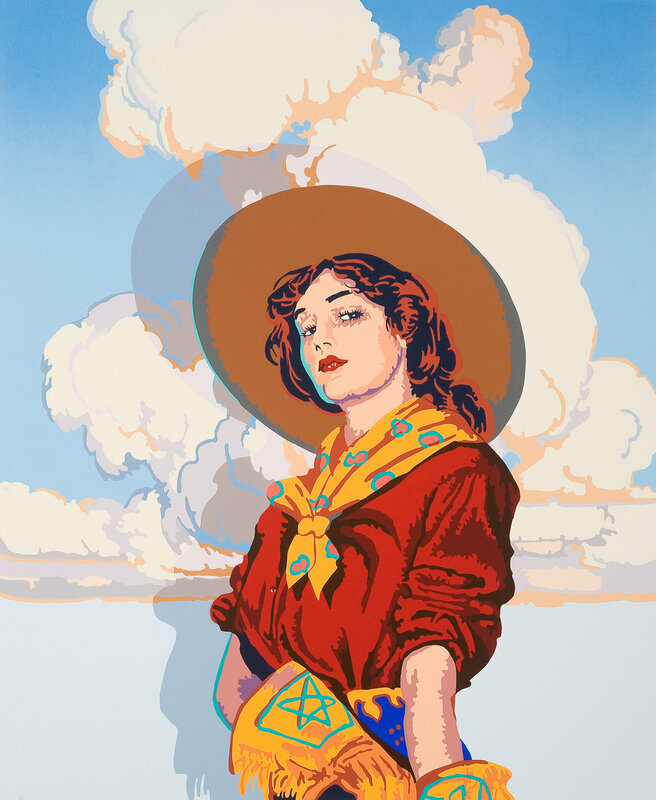 Schenck often enjoys working with serigraphs, a high-quality process of silk-screen printing, popularized as an artistic technique in the 60’s. Several of these unique works will be shown. These lower priced works are an excellent opportunity to display art in a new collection or seasoned home. Some of the serigraphs presented this month include pieces from the artist’s personal collection. 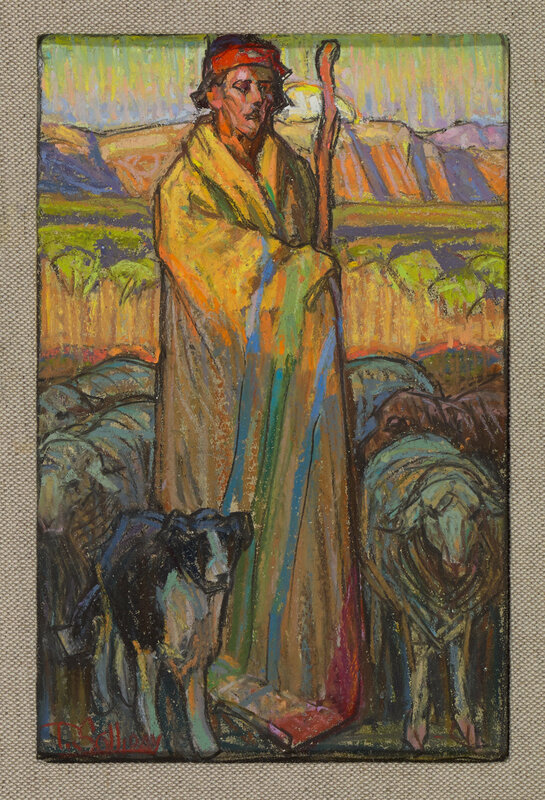 Career highlights for the artist include the 2013 Utah Museum of Fine Art’s Bierstadt to Warhol: American Indians in the West exhibit, the Denver Art Museum’s “Western Horizons” and a retrospective of serigraphs created by Schenck from 1971 through 1996 at the Tucson Museum of Art. 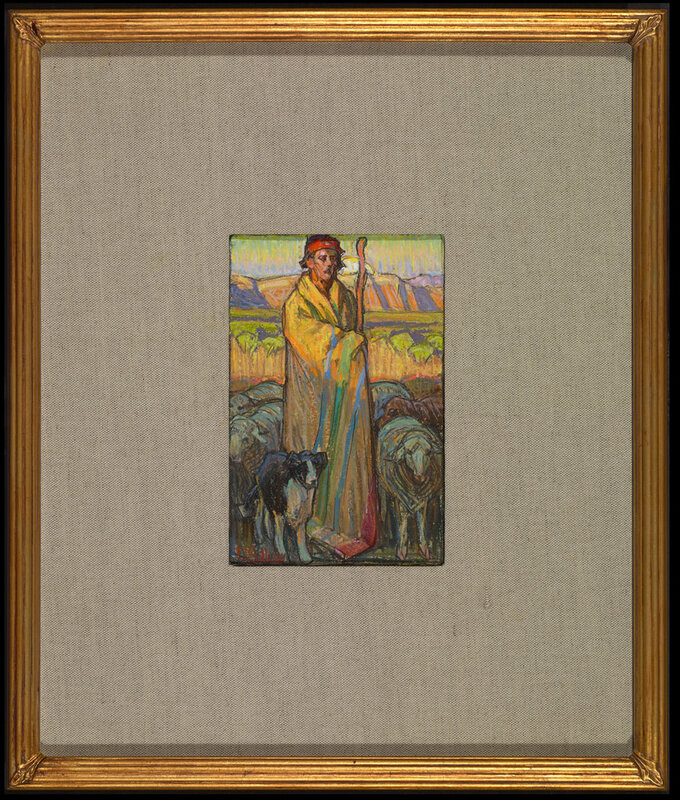 Schenck’s work has found recognition internationally with work in over 40 museum collections. Tim Solliday is a well-respected figure and landscape painter. Typically beginning his creative process on paper, Solliday works with oil-pastel, gouache, and watercolor to bring his Native American inspiration to life. These works on paper are careful studies for future work. Solliday’s paper pieces maintain a fresh immediacy and vision presented as finished works of art. 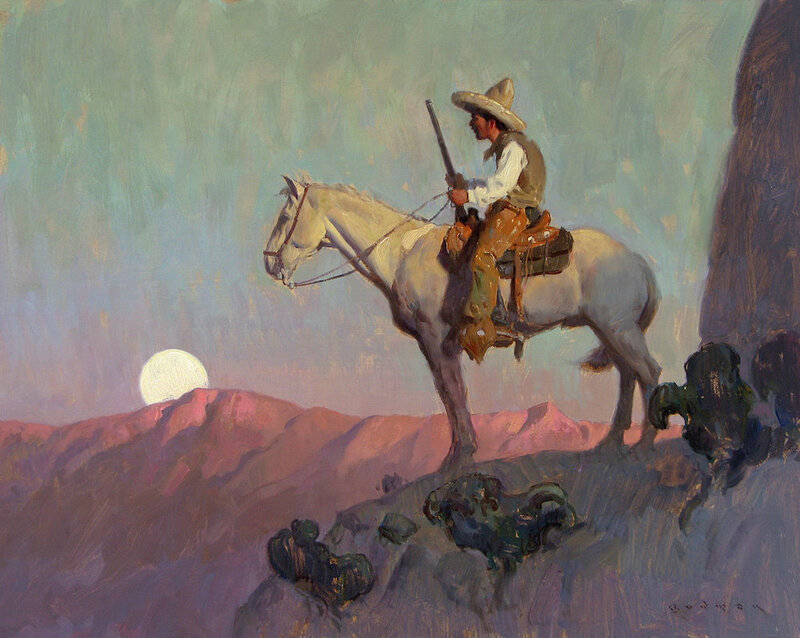 Solliday’s art is reminiscent of The Taos Society of Artists painters William Herbert Dunton and Ernest Martin Hennings. He is an honorary member of Laguna Art Association, and a Signature Member of the California Art Club. 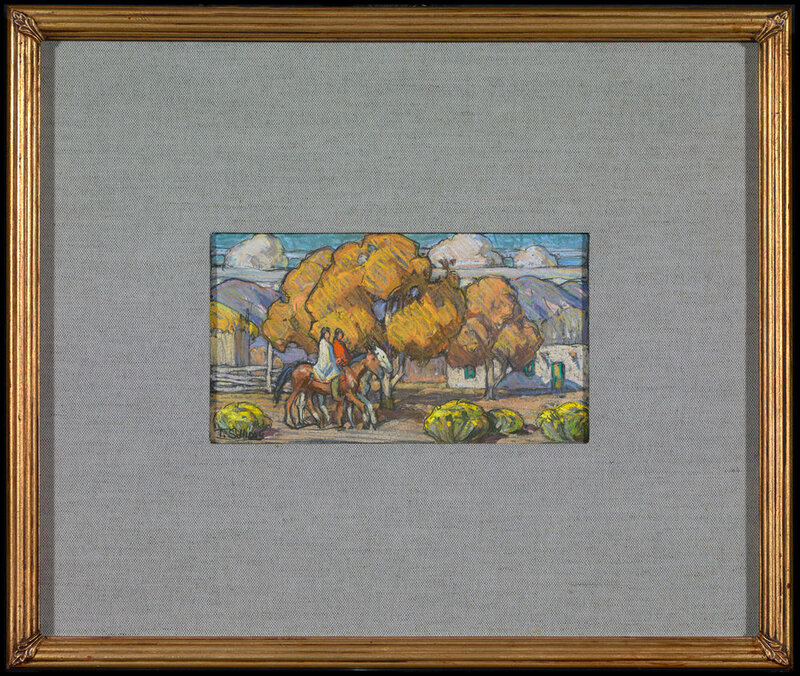 Solliday's works can be found in various public institutions, most recently added to the permanent collection of the Briscoe Museum in San Antonio Texas. Week Four (Final Showcase): Sean Cheetham "Rome Residency"
For Sean Cheetham, the small works exhibited are a result of the artist's month-long residency in Rome. Cheetham deftly captures the local people and rich influences of this historic city with his signature level of excellence and execution. Known for his ability to paint the human face, Cheetham takes us into the mind of an artist with a fresh take on a classic subject. A handful of works are being offered unframed at a lower price point as we hope this show will be accessible to most collectors interested in Cheetham's paintings. Sean Cheetham "Enrico 2" Oil 10"x8"
Sean Cheetham "Giuseppe 1" Oil 12"x9"
(SOLD) Sean Cheetham "Giuseppe 4" Oil 10"x8"